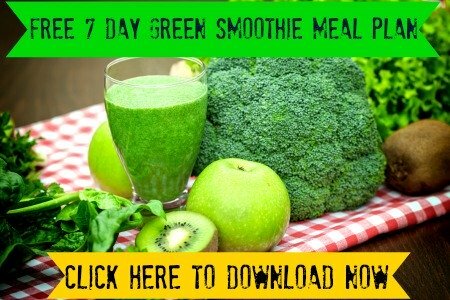 Looking for some good superfood smoothie recipes? Look no further. Bonom has got you covered with his best-kept vegan super food recovery smoothie secrets. Who is Bonom? He's a good friend of mine, and an endurance athlete and entrepreneur. When he’s not off travelling around the world or setting course records on ultra-long distance mountain races, he runs his own successful small business in the San Francisco Bay area. Running a business is hard work. It requires long days in the office, sometimes 7 days a week. So how does Bonom manage to have enough energy to do all this, while maintaining optimal nutrition, health and fitness? With his special superfood smoothie recipes, of course! The good news is they are not hard to make. You don’t even need a real kitchen to make these superfood recipes. All he has is the kitchenette in his office, with no more than a mini-fridge, microwave, blender and lots of fruits, vegetables and super food powders all over the place. If he can do it, so can you. These recipes were originally posted on his blog (no longer active), and he gave me permission to share his top secret recipes with you on this site! You can thank him by leaving a comment at the bottom of this page. Tired of all those barbecues and excessive eating habits so common in this Western culture? After circumnavigating the globe twice in the last 6 months I decided to post my favorite and most missed food delights! MAN! How I longed for this sustenance while traveling in the 3rd world! My best healthy eating tip for when I’m at home? Remember to pulverize and drink your salad! Nothing beats a crisp healthy salad loaded with greens, but even better in smooth liquid form! These are my top secret smoothie recipes. Note that you can buy most smoothie ingredients locally, but some are better purchased online. This fruit shake is best for immediate post-workout recovery. Especially if you do 2 or 3 workouts per day! 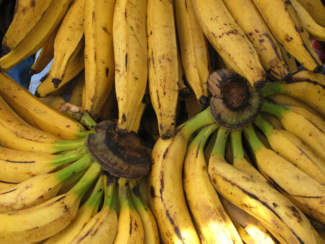 3-6 Ripe Bananas - The greatest, cheapest simple fruit. It’s super healthy and the number one fruit for athletes! Aloe Vera - The gooey, thick type is best, but aloe water is ok too. It’s a natural diuretic and helps your body run smoothly and naturally. It’s a bit strong, so use just one tablespoon, or less (½ tablespoon) if you have a sensitive stomach. Unsweetened Soy Milk or Almond Milk - There is plenty of natural sweetness in the bananas and other fruits, so unsweetened is fine. Just add enough to liquefy the smoothie ingredients. Blueberries – Fresh are best. It’s a natural power food, and you can never have too many! Papaya – Creates a very good smooth creamy texture, plus it’s filled with active enzymes for digestion. You can eat the seeds too. Pineapple - Another great fruit for smoothies! *Just don’t add all 3 fruits – that’s too many flavors in one drink! Learn my best tips for buying fresh fruits at the farmers market. Flaxseed - Creates a good texture and is filled w fiber... I MUST EAT IT EVERYDAY! It’s an absolute necessity in my diet to fuel my ultra-athletic lifestyle. Raw Cocoa Nibs – Make sure you get the raw nibs, because refined cocoa is not as good for you. This super food is super high in iron, magnesium, flavonoids and other anti-oxidant qualities. Cacao nibs also give the smoothie a better texture, improves the taste of the fruit shake, and substantially increases saliva activation. So there you have it. My favorite smoothie ingredients, including some commonplace super fruits and other more speciality super foods. Combine the ingredients using the quantities listed and you have an easy superfood smoothie recipe, my favorite main staple post-workout recovery shake. On the second part of this page you’ll also find more superfood smoothie recipes and great general recovery and eating tips! Meal Replacement Smoothie Recipe for Vegans – Here's another superfood smoothie recipe that I absolutely love! Superfood Protein Smoothie Recipe - Infuse complete nutrition and ensure high protein in your plant-based diet with this breakfast smoothie I make every day.